Religions are so different. For many reasons that often have nothing to do with what religions are supposed to be and do. 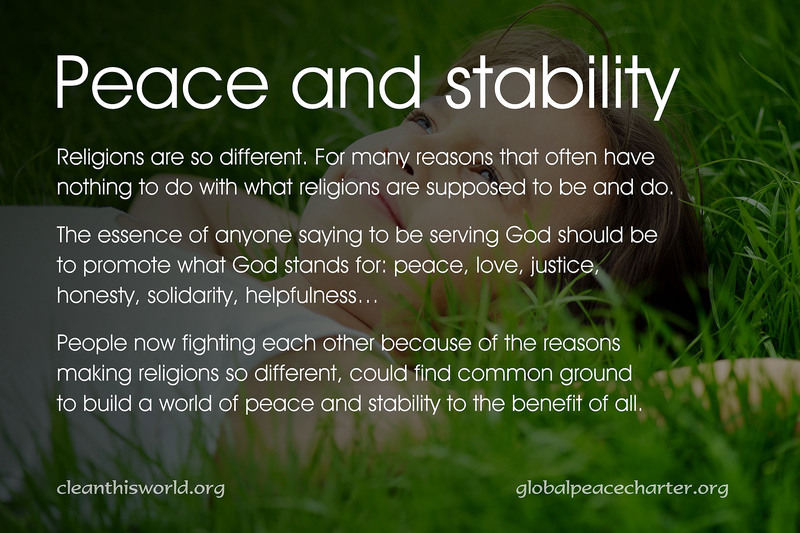 People now fighting each other because of the reasons making religions so different, could find common ground to build a world of peace and stability to the benefit of all.